SAFENAV offers a variety of services on Lake Lanier from piloting your vessel for a pre-arranged period of time, Captains Training and new vessel orientation...our newest service, "Captain's Watch", is a bi-weekly maintenance concierge service assuring that your boat is always ready to go at a moments notice. Each of our associates at SAFENAV hold at least a USCG issued OUPV captains license, while some hold a Master's License, assuring that only a true professional will be piloting your vessel. 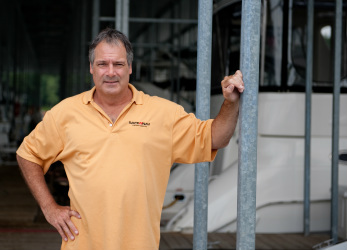 In addition to a lifetime of boating both on Inland waterways as well as near coastal waterways, Captain Jeff also carries the USCG commercial towing endorsement on his license. Captain Jeff takes pride in his abilities involving the safe and considerate operation of all vessels he comes in contact with.